The historic Mormon Station was a life-saving stop along the California Trail, and you can learn more about it and the people who founded it at the California Trail Interpretive Center. Uncover the stories of courageous pioneers and discover the humble beginnings, false starts, and transformations of the Mormon Station over the years. Mormon settlers named Abner Blackburn, and Hampton Beatie traveled more than 500 miles from Salt Lake City and established “Mormon Station” as part of their search for California gold and as a much-needed supply station. Most travelers couldn’t make the distance from Salt Lake to California without needed to restock supplies. The station was a ramshackle building at this time, with little more than a shelter and a collection of horses. The men soon gave up, sold their small trading post, and headed back to Salt Lake. They were robbed on the way by Native tribes and arrived back home with little to show for their adventure. Beatie was working for a man named John Reese, who upon hearing about this adventure and opportunity, decided he was the man who could be a success of the venture. 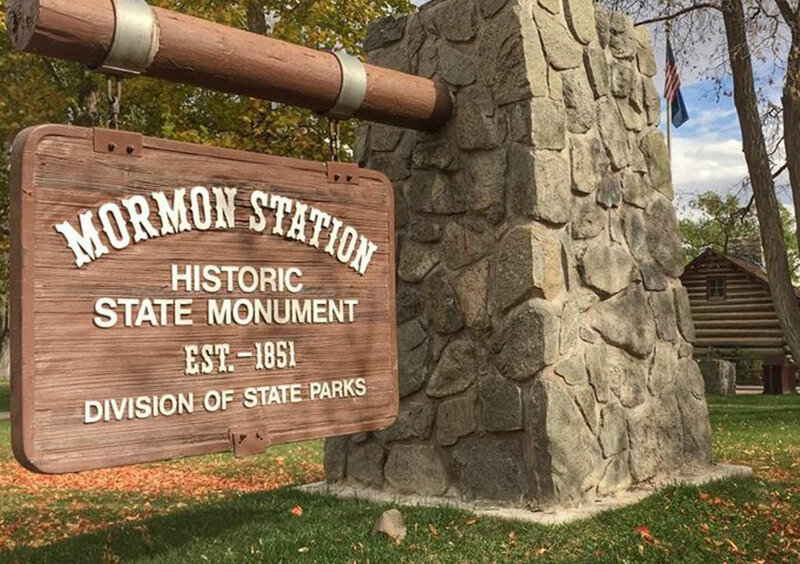 He repurchased the Mormon Station from its current owners for a paltry sum of $20 and two bags of flour. Reese went on to build a hotel and trading post, as well as a blacksmith shop. With a solid trading post established, John Reese was able to make an incredible profit by inflating the price of supplies. He knew desperate travelers would be willing to pay the exorbitant prices for fresh food and other necessary items. Genoa was Nevada’s first town. It was a stop for the Pony Express. It named for Genoa, Italy in honor of Columbus. Mormon Station trading post burned down in 1910. A replica was built in 1947. When you visit the California Trail Interpretive Center in Elko, NV, you take a step into the past. Participate in reenactments, scurry over covered wagons, hear tribal stories from Native Americans, and learn the history of how America expanded from “sea to shining sea. We invite you to stop in and learn more about important stopping points like Mormon Station today.